BATON ROUGE, La. (AP) — Though the national political focus has largely turned to the 2020 presidential campaign, three Southern states will see hard-fought governors’ races this year, with Democrats trying to show they can compete in Donald Trump territory. Democrats hope to unseat Kentucky’s Republican Gov. Matt Bevin and win an open governorship in Mississippi. In Louisiana, they’re working to re-elect John Bel Edwards, the lone Democratic governor in the Deep South. With their talk of religious values and hunting skills, Democrats in these races don’t look like their more liberal national counterparts, who support abortion rights and tout gun control. But following high-profile losses last year in the Georgia and Florida governors’ races, the 2019 campaigns could offer clues about the strength of Democrats in the South ahead of the presidential election. “None of these three states are microcosms of the nation, but that doesn’t mean that we won’t be able to glean some real evidence of what’s happening,” said Alabama-based Democratic pollster Zac McCrary, who works on the Edwards campaign in Louisiana and whose company works for one of the Democratic contenders in Kentucky. Specifically, McCrary said he’ll look at the strength of African-American voter turnout, noting Democratic prospects in swing states hinge on robust black participation. He’ll want to see whether Democrats in this year’s governors’ races perform well with independent and younger voters and whether Democratic voter enthusiasm remains high or Republican voter intensity increases. Trump won each of the states by at least 18 points in 2016 and his approval ratings in all three remain strong. But while Kentucky, Louisiana and Mississippi seem like reliable GOP strongholds, governor’s races can be less predictable, with local issues and candidates’ pedigrees swaying voters more than party affiliation. Former Maryland Gov. Martin O’Malley traveled 30 states the past two years working to elect Democrats. He suggested the most effective campaigns for state-level jobs speak to economic realities families face, such as growing health care costs and flat paychecks — and don’t bring up Trump. “Voters are so very exhausted by the 24/7 coverage of this aberrational presidency that they are longing to hear someone speak to them about how we together can make things better in our home state,” said O’Malley, a former chairman of the Democratic Governors Association. Broad takeaways for Democrats nationally could be limited, though, because the successful Democratic candidates often are different than national counterparts on two key issues: abortion and guns. Edwards pushed for abortion restrictions in office. Mississippi gubernatorial candidate Jim Hood, the state’s attorney general, is a pistol-toting politician who advocates for gun rights. Since 2015, eight states that voted for Trump have elected Democratic governors, and Republicans lost six governorships in the 2018 midterm elections. Still, the GOP holds 27 of the nation’s governorships, notched wins in Georgia and Florida last year, and party leaders think a sweep in Mississippi, Louisiana and Kentucky is possible — something they’ve not done since Reconstruction. “It is certainly a large feat for us, but we’re ready to do it,” said Jon Thompson, with the Republican Governors Association. 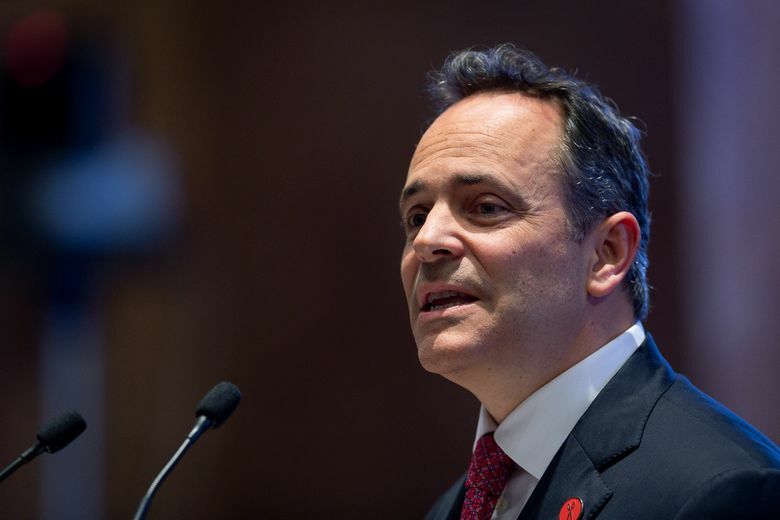 In Kentucky, Bevin is seeking a second term. But his approval ratings have plunged amid an unsuccessful attempt to overhaul Kentucky’s public pension systems, which prompted teachers to close schools in protest. Sensing weakness, Democrats have lined up to challenge him, including Attorney General Andy Beshear, former state Auditor Adam Edelen and state House Democratic leader Rocky Adkins. But the candidates are more interested in the campaign itself than in modeling strategies for national Democrats. In Louisiana, Edwards remains the only Democrat in statewide office, after a 2015 election victory Republicans consider a fluke. His main competitor four years ago, then-U.S. Sen. David Vitter, was damaged by a prostitution scandal, dislike within his own party and a brutal primary battle in which two Republican contenders trash-talked Vitter more than Edwards. 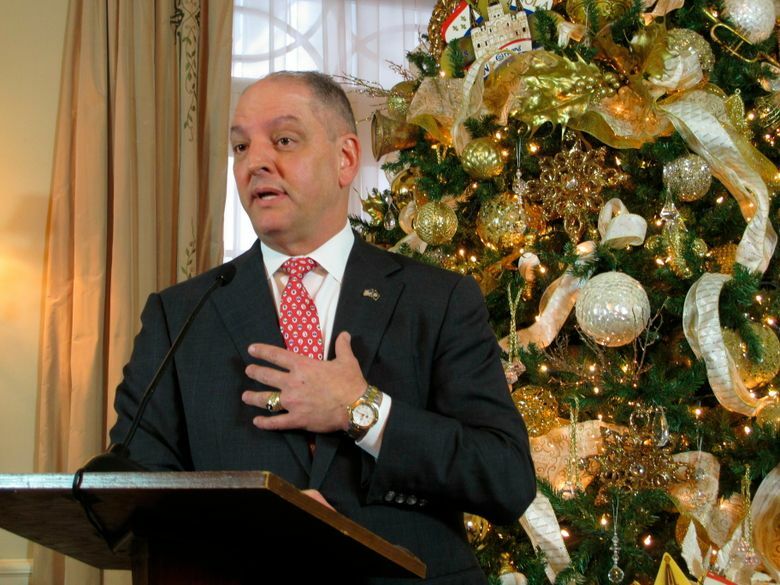 While the GOP has targeted Edwards as a solid chance for ouster, the major Republican opponents speculated about for months decided to skip the race. Instead, the Democratic incumbent has drawn two Republican challengers with less name recognition: U.S. Rep. Ralph Abraham and businessman Eddie Rispone. If Republicans don’t rally around one contender, they risk infighting until October, when all candidates regardless of party run against each other in Louisiana’s open primary. In Mississippi, Republican Gov. Phil Bryant can’t seek a third term. The race could shape up as a battle between Hood and Republican Lt. Gov. Tate Reeves. But both face opponents in August primaries. Republicans have held the governorship in Mississippi for six of the past seven terms. Democrats hope Hood — who, like Reeves, has been elected four times statewide — could break the streak. But Reeves starts the governor’s race with millions more than any candidate. The Republican Governors Association is confident enough about Mississippi’s gubernatorial seat staying in GOP hands that the organization currently doesn’t expect to spend much on the race. “I think it’s going to be very, very difficult for Democrats to be competitive,” Thompson said. Beam reported from Frankfort, Kentucky and Pettus from Jackson, Mississippi. On Twitter, follow Melinda Deslatte at http://twitter.com/melindadeslatte , Emily Wagster Pettus at https://twitter.com/EWagsterPettus and Adam Beam at https://twitter.com/adambeam .